Visitors to Korea will discover a wide array of unique and delicious food. 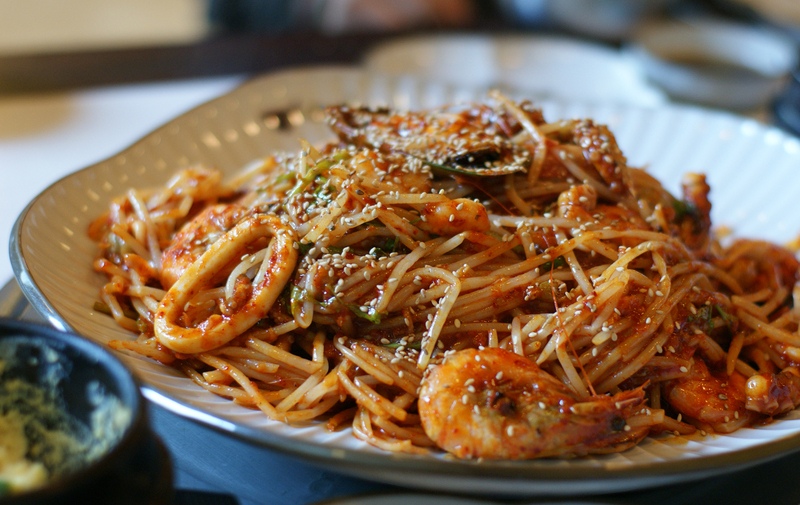 Food is a very important part of Korea culture, and Koreans pay great attention to the way in which food is served. 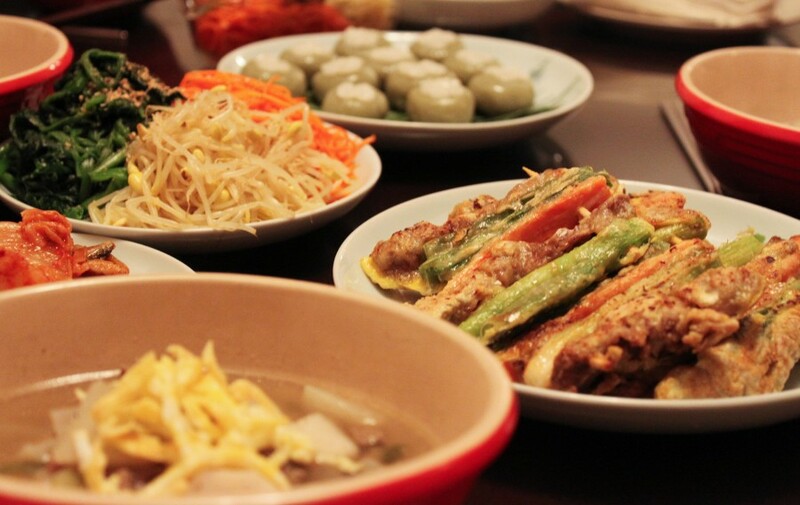 As much as the food is one of the biggest cultural parts of Korea, there are various types of Korean traditional foods that are distinctive from other culinary cultures. 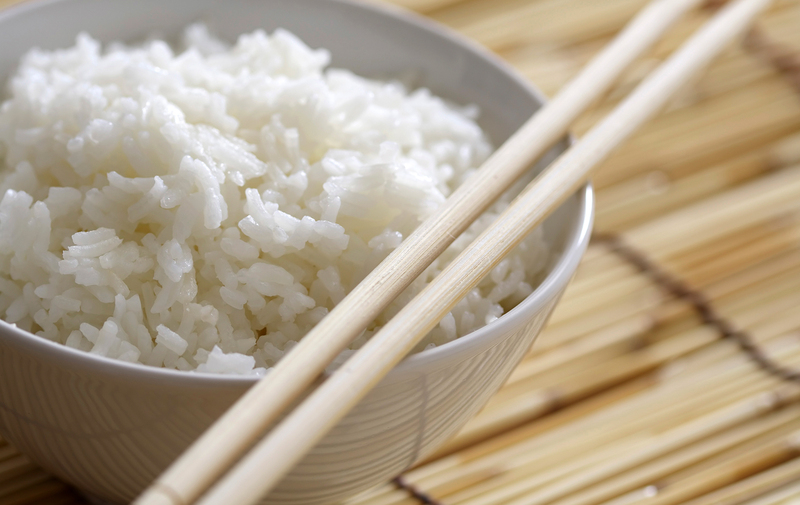 Boiled rice is the staple food for Koreans; it is eaten with almost every meal. In Korea people eat short-grained rice, as apposed to the long- grained Indian rice. Korean rice is often sticky in texture, and sometimes it is combined with beans, chestnuts, sorghum, red beans, barley or other cereals for added flavor and nutrition. Juk (porridge) is a light meal, which is highly nutritious. Juk is often made with rice, to which abalone, ginseng, pine nuts, vegetables, chicken, or bean sprouts can be added. As well as rice porridge, red bean porridge and pumpkin porridge are also delicious. Korean meals traditionally consist of a soup served with rice. The soup can be made from vegetables, meat, fish, shellfish, seaweed, or beef bones. Jjigae is similar to guk but is thicker and has a stronger taste. 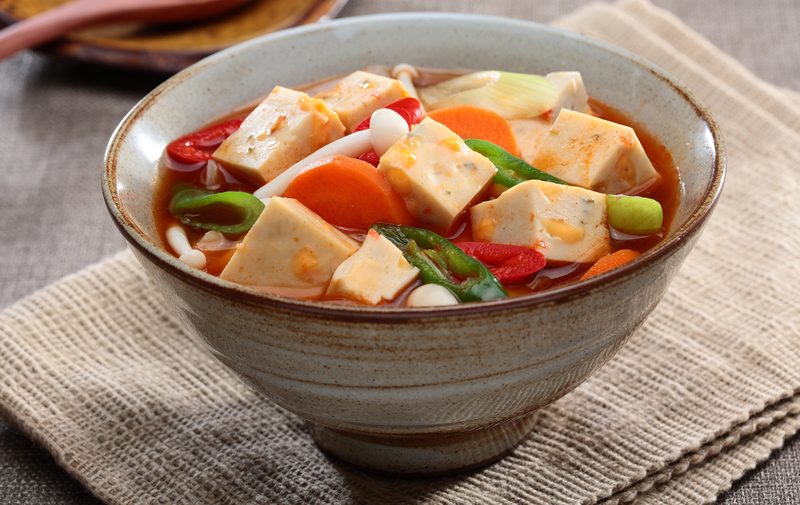 The most famous jjigae (doenjang-jjigae )is made from preserved soy bean paste. Jjigae is usually spicy and served piping hot in a heated stone bowl. Jjim and jorim are similar dishes. Meat and fish are prepared with vegetables and soaked in soy bean sauce. The ingredients are then slowly boiled over a low heat.